The date stone on the Methodist Church indicates it was built in 1912 as a Wesleyan Church and operated for nearly 100 years until 2011 and is now boarded up. 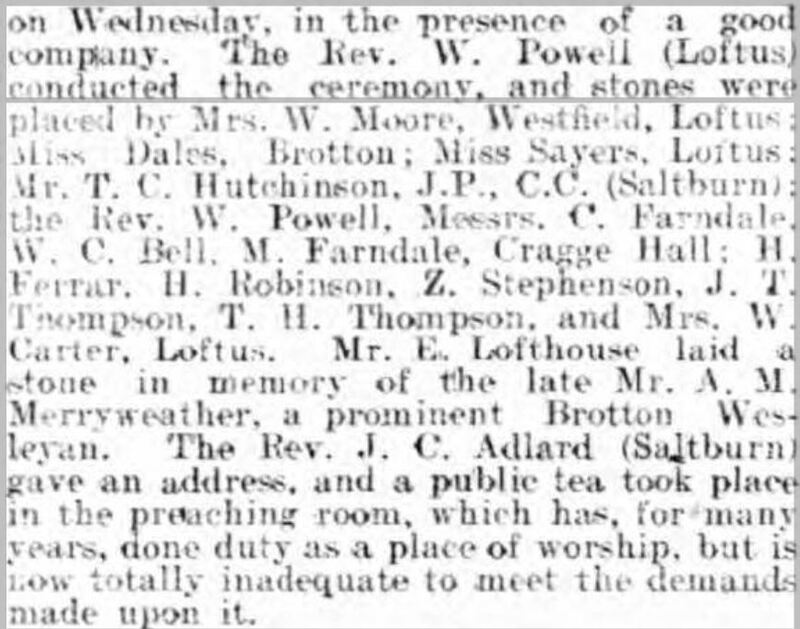 The laying of the foundation stone was reported in the Whitby Gazette on the 8th December 1911. The land was donated by Mr T.C. 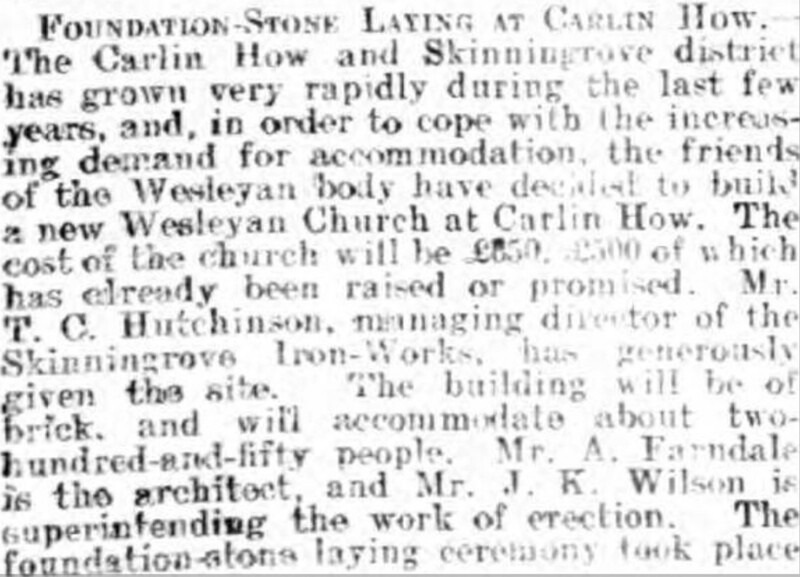 Hutchinson, MD of the Skinningrove Ironworks. Always wondered about the background to this building because of its peculiar location but reading the story it all makes sense now. Just realised on closer inspection the one i am relating too is further round the back.